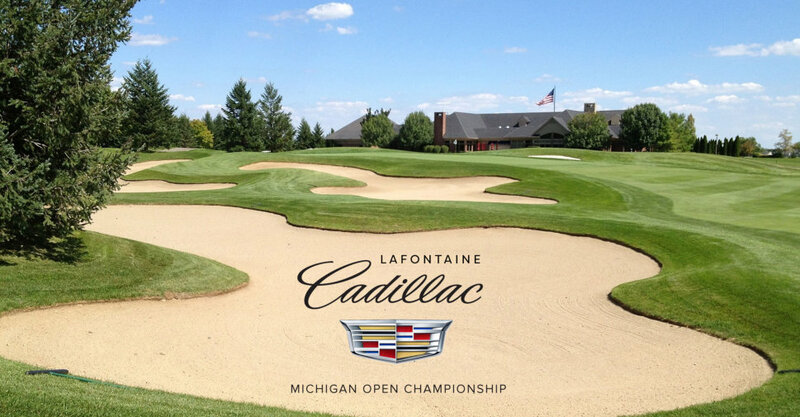 HIGHLAND TOWNSHIP – Jeff Bronkema of Wayland made five consecutive birdies on the back nine in a 6-under 66 at Prestwick Village Wednesday to take the lead heading into the final round of the 99th Michigan Open Championship presented by LaFontaine Automotive Group. “I scraped it around the front and couldn’t get anything going and then something clicked and I hit it to six-feet on 13, inside three feet on 14 and 15, made a 40-footer downhill for birdie on 16 and about a 20-footer for birdie on 17,” said the 27-year-old Plainwell native and mini-tour professional who finished second to Jeff Cuzzort in last year’s Michigan Open. 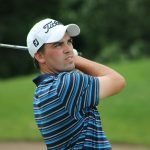 Bronkema’s 66 gave him a 10-under 206 total with amateur and 2013 champion Tom Werkmeister of Grand Rapids two shots back at 208 and standing second after a 69. Wes Gates, a mini-tour golfer out of Novi, matched the 66 of Bronkema for 209. He was tied with 2007 champion Andy Ruthkoski of Muskegon, who shot 71. Dearborn amateur Evan Bowser of Dearborn, who shot 71, Okemos mini-tour player Eric Lilleboe, who shot 71, and Ada mini-tour player Drew Preston, who shot 72, made up the group at 210, four shots off the lead. Cuzzort, the defending champion from Grosse Ile, shot 72 and checked in at 211 with Battle Creek native and Royal Oak resident Matt Thompson, who shot 73. At stake in Thursday’s final round is the winner’s $8,000 share of a $54,500 purse. In addition, for the third consecutive year sponsoring LaFontaine will present the winner with a lease on a new Cadillac. Bronkema said his golf game has become more consistent over the last year. He won five times on Florida’s Minor League Tour of one and two-day events over the winter. Werkmeister broke his arm seven months ago in an accidental fall at home, and said he feels some pain with each shot. Gates, a 2013 graduate of Bowling Green State University, said he had a stress free 66 to jump into the mix. The 25-year-old golfer who has a best finish of 12th in four previous Michigan Opens said his goal for the final round was to simply play well. He has been in the heat recently, falling in a playoff in a mini-tour event in Ontario two weeks ago.